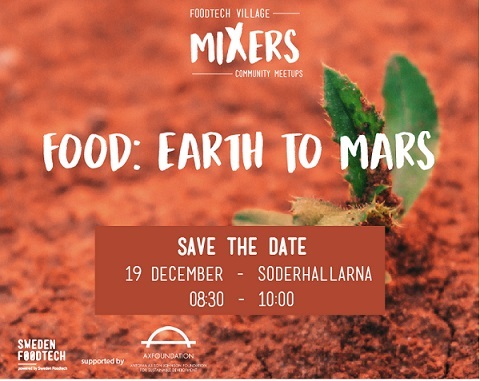 Sweden Foodtech Community Meetup | | Sony Computer Science Laboratories, Inc.
You can now watch a video of his speech on YOUTUBE.COM Food Earth to Mars. CSL Researcher Dr. Funabashi has presented at the recent community meetup organized by Sweden Foodtech on December 19. The event report is now available.